Well, it’s another year once again and convention season is in full swing in Indiana starting off 2018 with another Indiana Comic Con and looking back at my last review I would have to say that I have a lot of things that I was not too happy with this time around and some things that didn’t change and some things that did and not for the better. 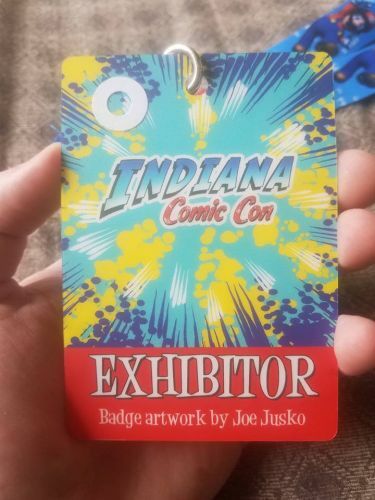 This is the 4th year of Indiana Comic Con and after some frustrations, I had with last year’s event I was quick to see some of those same frustrations come back into play yet once again and a new one that I somehow do not understand. As in year’s past, I was provided with a so-called “press badge” however it did not mention anything at all about me being a member of the press. In fact, it was an Exhibitors badge with a white circle in the top right corner which I guess was supposed to indicate that I was a member of the press. Speaking of badges it took me a minute to realize that Exhibitors, as well as Comic-Con staff/volunteers, were the only ones with an actual badge. 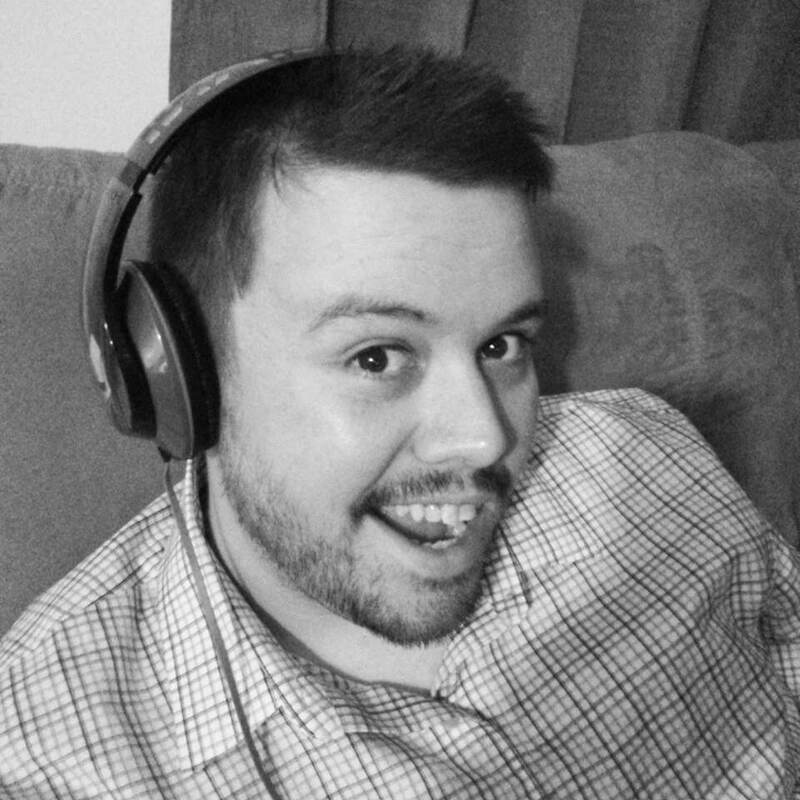 For those not familiar with conventions, a badge is basically something you wear, typically on a lanyard with a card on it that usually has some really cool design on it and indicates that you paid for entry with some badges having different artwork depending on what level of badge you paid for. However, this year was a downgrade for attendees due to the fact that badges came in the form of a simple wristband. Some people I spoke with during the convention found this to be rather upsetting because a lot of people, myself included, tend to collect their badges from all the cons that they attend. However, people were upset because they had to cut their wristband off and the ones that they were provided with were not ones you could clip on and off. They were tied on so taking them off meant not being able to put them back on. Hopefully, this changes next year and everyone gets their own unique badge. Another thing that I noticed and quite simply did not understand was the layout of the celebrities. All of the celebrities were placed in a single row and the conventions two biggest guests, Sean Astin and David Harbour, were placed right next to each other which caused an insanely crazy line/wall of people in one spot that other guests had to walk through or around to get to the other guests. I really wish conventions would scatter their celebrities throughout the exhibit hall that way it spreads out the attendees and doesn’t make it one horrible mess of people in one location. 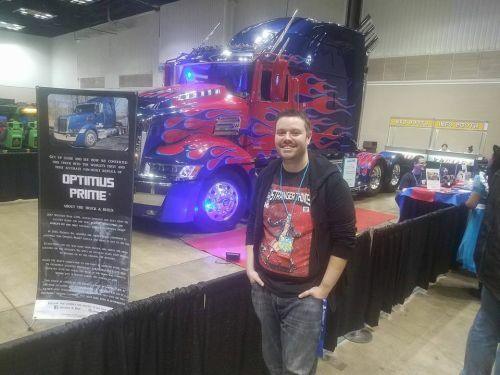 Here I am standing next to a replica of Optimus Prime which is officially licensed by Hasbro. The next thing I’d like to talk about is the staff. Now before I begin to give my criticisms here let me say that not all of the staff were bad. Some if not most were very helpful and knew what they were doing. 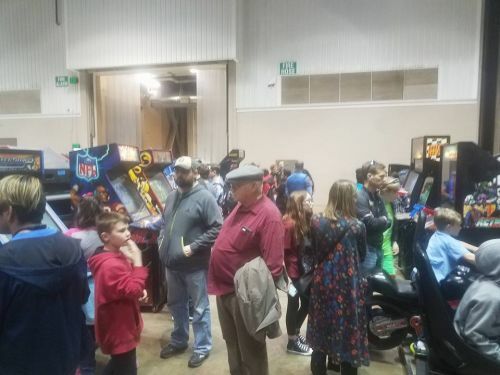 However, there were a lot of staff members that simply were not given any direction by the event organizers and those who actually work for Imaginarium Agency, the company that owns Indiana Comic Con. It seemed to me that most of the volunteers did not seem to be able to answer questions or know much about the events and I can not blame them at all as they are the ones not working for the actual company. You could definitely tell there was some disconnect between the volunteers and the actual staff at the convention. It was great to see some more amazing cosplay again this year and really you can never go wrong with the amount of cosplay seen at really any convention. I’ve been to some pretty smaller conventions in my time and still the amount of cosplay is always on point and I can say the same for Indiana Comic Con. It was great to see some of my favourite characters from almost every tv show imaginable make an appearance. Another interesting thing that was shown was a full-scale replica of Optimus Prime from Transformers which is the only one that is approved by Hasbro. I was thoroughly impressed by the detail of this and how much time and detail and attention were put into this particular design. One of the highlights at ICC 2018 was the free retro arcade which featured Outrun, Area 51, Galaga and more. All in all, I would say that I was pretty disappointed with Indiana Comic Con 2018. Looking back at my last review of this convention I would have to say that it was a step down from that of 2017 as I was hoping for some major improvements, but overall you can tell that this convention is one that is focused on strictly making money and not so much about the fans. I’ve come to realize that for a majority of “corporate owned” conventions this tends to be the case such as Wizard World for example. Having been to many homegrown conventions you can tell there is a distinct difference between the two. However, I will still try to be optimistic about next year’s convention which is set to take place in the fall, well over a year from now. I hope to see some much-needed changes at this convention as well as a much more organized staff. 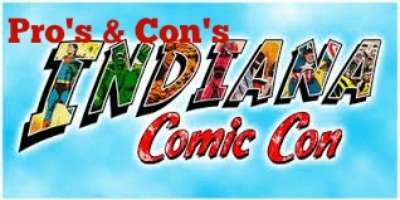 Unfortunately, Indiana Comic Con hasn’t had a very good reputation with a lot of attendees especially those that are local. As always I will be back though next year hoping for an even better convention.